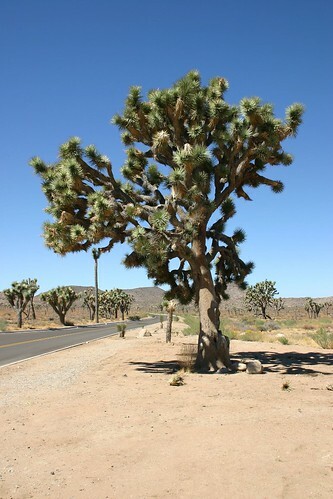 This was my first view of Joshua trees during my visit to Joshua Tree National Park. I was surprised by the size, quantity and density of the Joshua trees. I had only expected them to be five or six feet tall, and to be sparsely spread about the landscape. Imagine my surprise when I discovered this one which towered over me. And they were growing close together, like an orchard of Joshua trees had been intentionally planted. This entry was posted on March 15, 2008 at 6:33 pm and filed under California, desert, Joshua Tree, Joshua Tree National Park, National Park, vacation.